Reverse mortgages - Mortgage Experts, Inc.
Are you looking for a new mortgage loan? We'd be thrilled to talk about our many mortgage solutions! Call us at 503-690-3088. Ready to begin? Apply Here. With a reverse mortgage (also referred to as a a home equity conversion loan), homeowners of a certain age may use home equity for living expenses without having to sell their homes. The lending institution gives you funds based on the equity you've accrued in your home; you get a lump sum, a payment every month or a line of credit. Repayment isn't required until the time the borrower sells the property, moves (such as into a care facility) or dies. You or representative of your estate is required to pay back the reverse mortgage amount, interest accrued, and finance fees at the time your house is sold, or you are no longer living in it. The conditions of a reverse mortgage loan generally include being 62 or older, maintaining the home as your primary living place, and holding a small balance on your mortgage or having paid it off. Reverse mortgages are helpful for retired homeowners or those who are no longer working and must supplement their limited income. Social Security and Medicare benefits aren't affected; and the money is nontaxable. 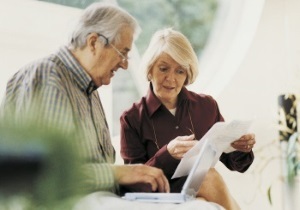 Reverse Mortgages may have adjustable or fixed interest rates. Your house is never at risk of being taken away from you by the lending institution or put up for sale against your will if you outlive your loan term - even if the current property value dips under the balance of the loan. If you'd like to learn more about reverse mortgages, feel free to contact us at 503-690-3088.